Your besties, BFFs, #bridetribe…. Whatever you call them, they need to look fabulous for your wedding day, too! 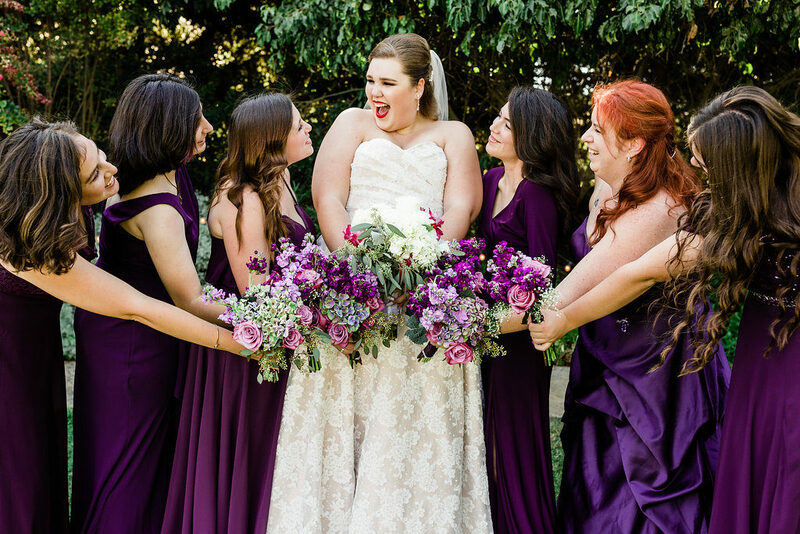 While we specialize in curvy ladies, our plus size bridesmaids dresses can be ordered in sizes 0-36 (depending on the designer). 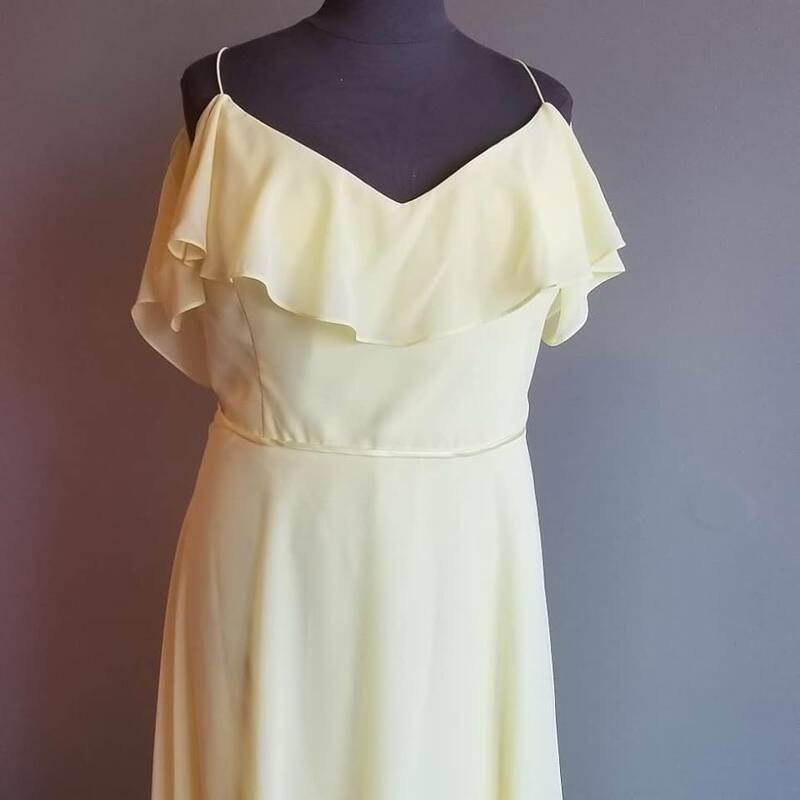 Summer and fall 2019 bridesmaids should shop now for a gorgeous bridesmaid dress. Save 10% on any bridesmaid dress during our Spring Savings Event March 16 – 31 in both our Long Beach, CA and Tempe, AZ bridal stores. 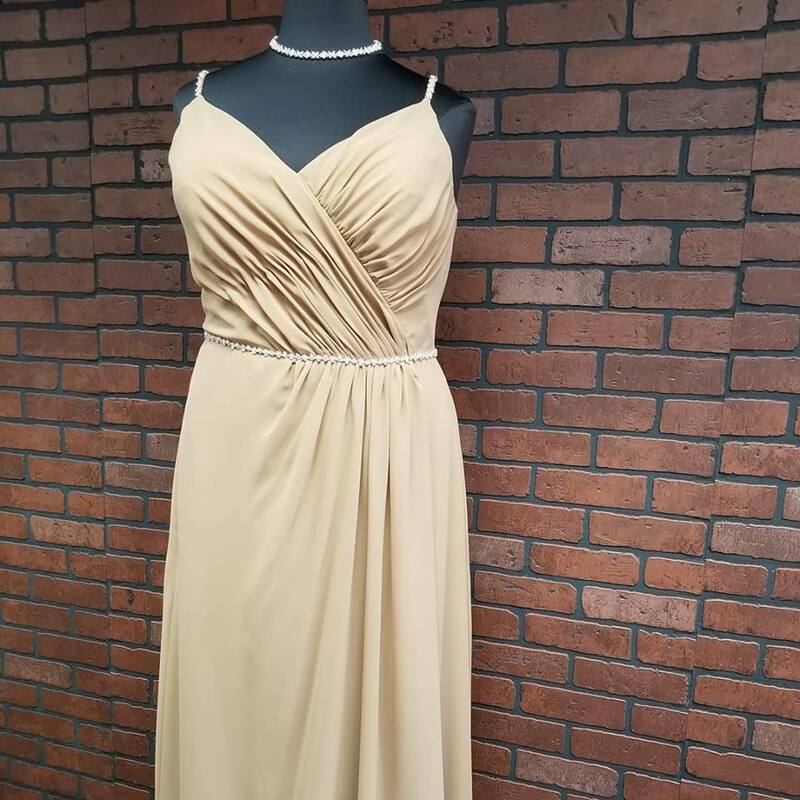 Plus size ruched bridesmaid dress with straps. This awesome sale includes a dress for mom, auntie, your engagement party or reception and more! Even better, we order bridesmaids dresses with just 50% down! We make dress buying so easy, too. You can pregister your party online, track their progress online and even send them gentle nudges to take the next step. Wondering what styles or colors might work best? NO WORRIES. 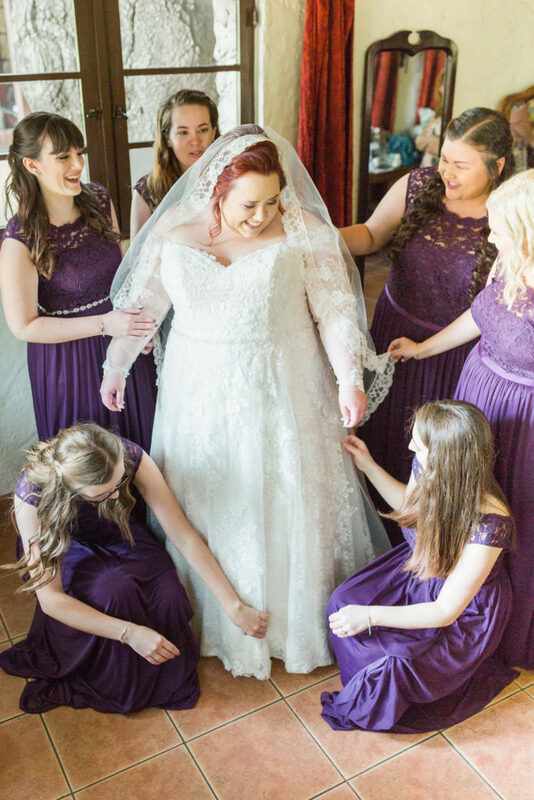 We offer a FREE 15 minute consultation with our in-house Bridesmaid Specialists. They can send you photos of colors or dress options to help get you started. Looking for an elevated shopping experience? Ask about one of our NEW upgraded bridesmaid appointment options for a really special time. 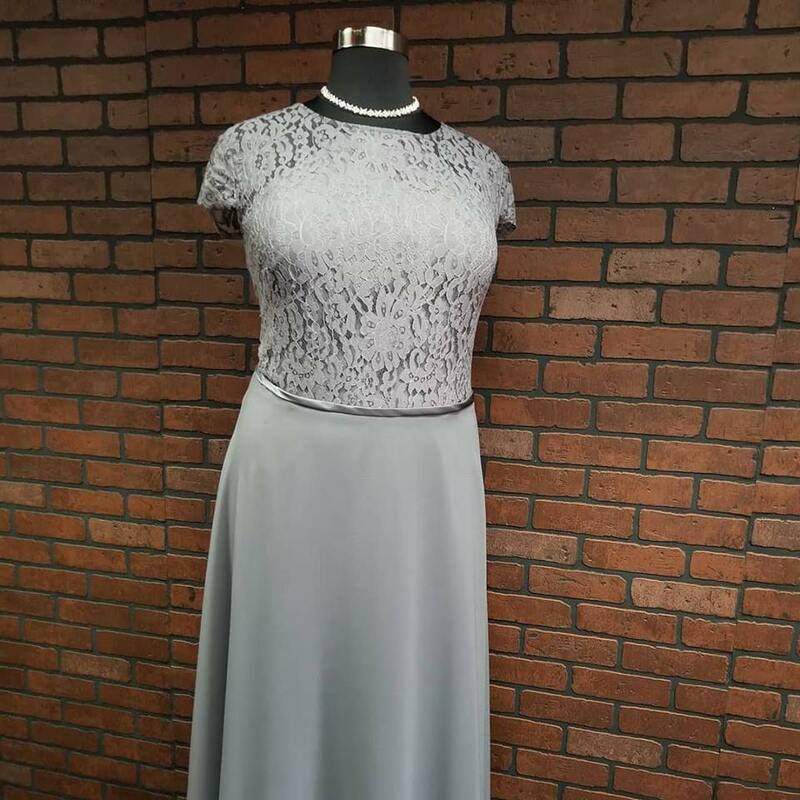 Cap sleeve lace and chiffon plus size bridesmaid dress. Just give us a call or head over to our appointments page to book your FREE Bridesmaid Consultation, or let us know when you’d like to bring them in shopping. 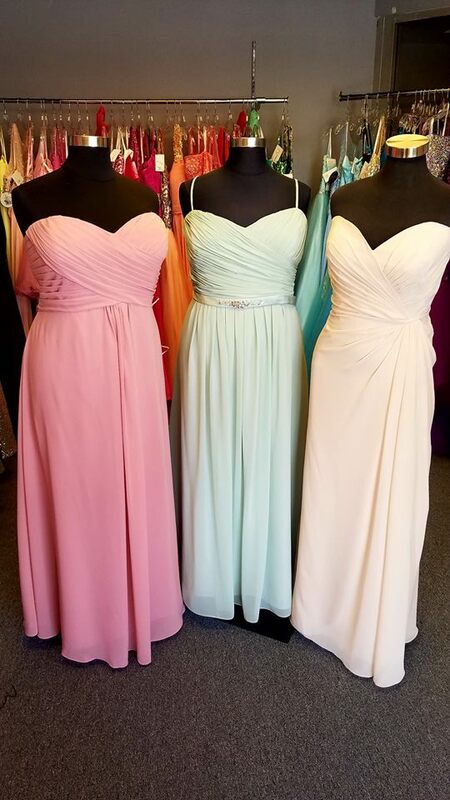 Remember, this bridesmaid dress sale ends March 31st!